Personal Physicians West (Bolingbrook) - Book Appointment Online! 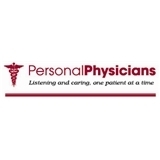 Personal Physicians is a premier medical services provider established in 1976 with locations in Cicero and Bolingbrook. With a focus on Preventive Medicine, our doctors are committed to providing you with personalized care that is timely, courteous, and professional. With two handicapped-accessible facilities, we are fully equipped to handle all your medical needs. We have convenient locations, a 24-hour answering service, multi-lingual staff (including Spanish), and affiliations with all major hospitals.